A perfect on-the-shelf kit for any shop, home, or garage! 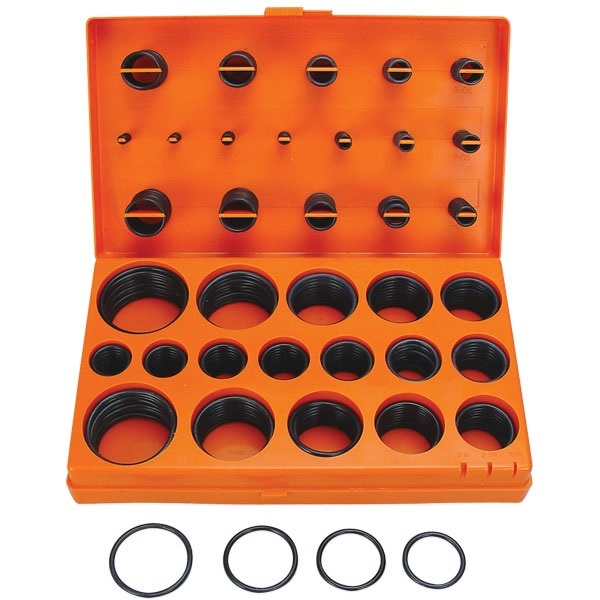 407-pc kit includes 32 different rubber o-rings for use in plumbing, hydraulics, air and gas connections. Assorted sizes from 1/8" ID to 2" ID.